Claire is a lawyer by profession and an experienced non-executive director with industry experience in infrastructure and property, as well as experience in construction and financial services. 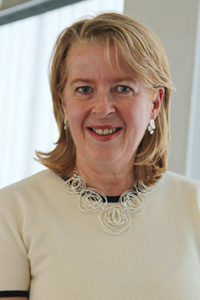 She has 20 years’ experience on boards and is currently the Deputy Chair of the Port of Hastings Development Authority. She is also a director of TT-Line Pty Ltd and Moorebank Intermodal Company. She chairs or is the member of several audit and risk committees. Prior to becoming a full time company director, Claire held senior management roles with Hastings Funds Management, AXA, Over 50s Investment Group and Colonial Mutual. As senior legal counsel, manager and negotiator, she has significant practical experience with a wide range of business, corporate management, dispute resolution and litigation issues and specialised in the provision of corporate legal advice including strategic risk management, compliance and governance.